The history of cults is very rich and it has a wide range. During the years of evolution of our civilization, cults have been and they are still , some kind of the folkloric elements. Among many cracks in the religions, societies and systems, the cults by themselves, find the perfect shelter for their own ideologies with a good chance to affect the people’s lives, sooner or later. In the age of all freedoms, the freedom of cults is more like a sneer to the modern world which will be ruined by the same freedoms it was so proud about, once upon a time. We all know the tragic truth:more freedom but less security and vice versa. We simply cant have both. It is all about the priorities and we are facing up now with the price of having freedom for and having freedom from. When the balance is broken, the security will never be the same again. How we can understand the cult? Maybe the Hollywood’s movie industry will help us to imagine the cult as it is, usually demonic, dark, schismatic and definitely lunatic. Behind their superficial picture of cults is nothing but absence of scientific approaches so it doesn’t really surprise that many young generations don’t know anything about the cults except that they are “cool” or maybe only sometimes ” dangerous”. The education tyranny which Hollywood makes for years is orchestrated and it is almost funny to follow how the global politics is reflected into the inspiration of making ” good” and “bad” boys in Los Angeles kingdom of entertainment. Some days ago I was informed about dramatically activities of one cult in Balkans region. After I researched a bit more, I got into the story and found myself interested in following the track to the early origins. How one malicious Japanese cult arrived in Balkans area full of sufferings, conflicts, poverty and dramas? Maybe it didn’t arrive only in Balkans, maybe it goes everywhere so we all will be the witnesses of the awakening of Aum Shinrikyo in the time which is challenging more than we want to admit. What is Aum Shinrikyo? 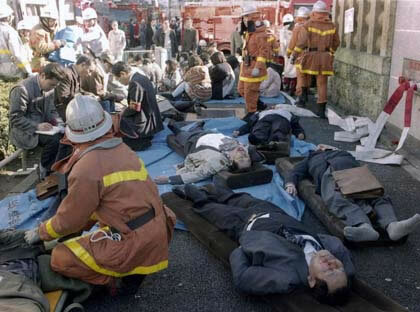 Quick reply could be: a Japanese apocalyptic sect which was trying to save the world by destroying it and attacking the people on the morning of March 20, 1995 releasing a toxic nerve gas that killed 13 and injured thousands during the busy hours in Tokyo city center. At that moment, almost 20 years before, their attack was considered also as the bio-chemical terrorist attack and the chapter one in the deadly book of using non-conventional weapons for a purpose of terrorism. The story behind this sect was deeper than it was known before the official investigation by Japanese law enforcement. The Aum Shinrikyo (Supreme Truth) was established in 1987 by one blind yoga teacher, Shoko Asahara, who was originally from Yatsushiro and was one of many children of poor worker and was born in 1955 as Chizuo Matsumoto, suffering from blindness caused by an infantile glaucoma.He moved to Tokyo and started and finished a junior college, becoming interested in acupuncture and getting some informal education about it. He married his college friend, Kazuko and they got 6 children. In the meantime, he started some pharmacy business but later he was arrested for violating the Japanese pharmaceutical laws in 1982 and his business was ruined. In 1977, he found himself curious about yoga and 7 years later, Shoko Asahara opened his own yoga school and publishing house under the corporation’ name of Aum Shinsen-no kai which changed the name in Shoko Asahara in 1986 and then once again in Aum Shinrikyo, one year later. The new name was also the final name and the result of religious accumulated knowledge grounded in the Supreme Truth, as a literal meaning. The establishment of the Supreme Truth by controversial spiritual yoga teacher, Shoko Asahara was fully accomplished when the religious status was officially given by the Tokyo Metropolitan Government. That status guaranteed various privileges, including tax-free corporation life and some kind of religious and political immunity, what was the main goal of the sect. They could operate for profit and for their religious ideology without being monitored or investigated by Japanese authorities, because of the law limitations. The Religious Corporation Law is introduced in post-war Japan by efforts of the US and its never ending fight for freedom of expressions. The problems which were given by implementation of this law were bloody and unforgettable. The dangerous moment when the security of people is endangered by their own people. 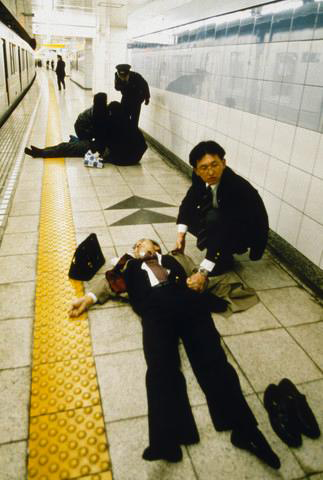 The case of Aum Shinrikyo:”With its registration as a legally recognized religion, the Aum’s activities and character dramatically changed. Its net worth grew from less than 430 million yen (approximately $4.3 million) when recognized in 1989 to more than 100 billion yen ($1 billion) by the time of the Tokyo incident six years later. Likewise, its membership rose dramatically after legalization. From merely a score of members in 1984 it grew, by its own accounts, to 10,000 members in 1992 and about 50,000 worldwide in 1995. And, from one office in Japan in 1984 it expanded to over 30 branches in over six countries.” The sect was becoming aggressive with every new step of popularity. Later, some records shown that kidnappings and other physical assaults by the cult were occurring regularly and usually against opponents. The Yokohama lawyer, Mr. Tsutsumi Sakamoto, his wife and their one year old son were kidnapped and murdered by cult members and only some months after Mr. Sakamoto started anti-Aum groups and active speech in public against this cult.This community was progressing into the Japanese society like the cancer, totally invisible, making damages in the silence. The believes of this sect is a mixture of Buddhism with Eastern and Western mystic beliefs, which also include the elements of the knowledge made by french astronomer, Nostradamus.What does that exactly mean? :“The religion preaches that there are a number of steps or levels of consciousness that a member can reach through the teachings of ‘the Spirit of Truth, His Holiness the Master Shoko Asahara’. 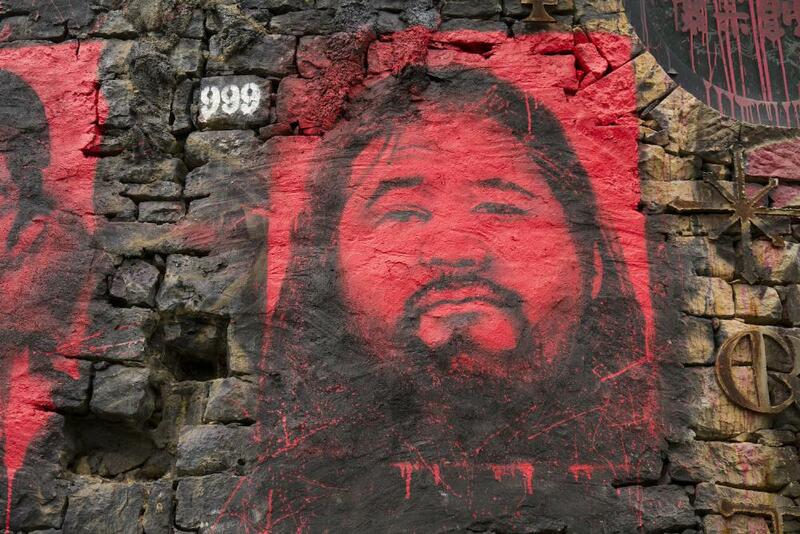 Aum literature claims that only one person, Shoko Asahara, has attained the highest level of consciousness and exists in the state of Nirvana.” We are coming to the central point of the sect, the master Shoko Asahara. The alpha and omega of the group. Everything starts with him and it will be finished with him, and according to one former member, this master hadnt achieved a real philosophy of Buddhism but rather selfish tyrannic cult of adoration by members:” The cult was fixated with the Hindu god ‘Shiva’. This was significant since ‘Shiva’ is the ‘god of destruction’ thereby explaining in part the violent nature of the cult and its particular emphasis on ‘Armageddon’. Although this concept is widely known in Western religions, ‘Armageddon’ or the ‘end of the world’ is not a normal tenet of Buddhism or other Eastern religions popular in Japan. However, it was a core element of the Aum religion with salvation only coming at the end of Armageddon to those who adopted the Aum faith. Asahara foretold salvation for those Aum members who have attained a higher state through the teachings of the ‘Supreme Master’– Asahara. Asahara also preached salvation even to those of his members who perished in the predicted Armageddon since they were assured a special status in their reincarnated state.” It is more than interesting to see how Mr. Asahara made an attractive cocktail of believes for Japanese society. Collecting all religious aspects from different cultures and combining it with old and esoteric theories, he approached the level of recognition within the spiritual community that put him on the central place, protected from any government’s distraction. He enhanced his positions with his writings and active propaganda. 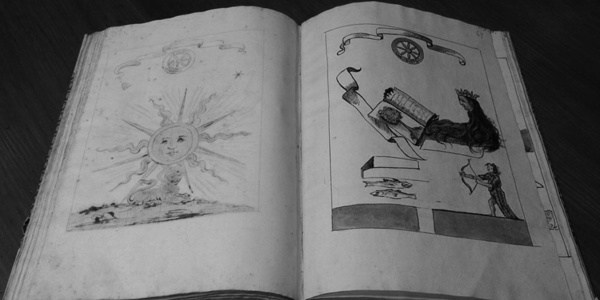 First of all, his books were accepted as some kind of prophecies. The Destruction of the World explained the future war between Japan and the US, somewhere in 1997 and he justified those claims based on his interpretations of “The Prophecies of Nostradamus’, the “Revelations of St. John” from the New Testament, Buddhist scriptures, and other less known revelations. Later, he came with the book Shivering Predictions and he tried to describe the deep suffering which Japan will face with after the nuclear attack by the US when the nine out of ten people will die in waste land. The line of strong anti-Semitic theory was dominant in Asahara’s “philosophy”, blaming Jews as hidden enemies for global sufferings. Their work and activities welcomed the apocalyptic terrorism, the new sub type of religious terrorism, motivated by Messiah final coming, new millennium groups with an Armageddon agenda, ultimate ideas about end of the world and steps to be done for preventing or saving it. Unfortunately, mostly of those steps were radicalized and violent, enhanced with non-conventional weapons or conventional methods of demolishing the peace in society or country. Beside the Aum Shinrikyo, the second dynamic apocalyptic terrorist group was Gush Emunim in Israel:”In 1984 members hatched a plot to blow up the Muslim Dome of the Rock Shrine in Jerusalem, the third most holy site in Islam, in order to spark a nuclear and chemical confrontation between Israel and Muslim countries. The goal was to create ‘catastrophic messianism’ disastrous circumstances that would hasten the coming of the messiah.” But, an apocalyptic terrorism was the pulse of that period of time. The last years of the silent cold war and the growing nationalism and separatism around the globe turned the world into the zone for possible Armageddon happening. It is almost paradoxical that those terrorist groups want to destroy the world to make new and better one. They can use whatever they want in their efforts to cause the destruction but the main problem is to detect their activities and stop it on time, before being accused, if you are government, for breaching someone’s else freedom of religion and speech. The US government had the similar problem with the The People’s Temple and the Heaven’s Gate. The famous question: where are the boundaries between human security and freedom of humans? 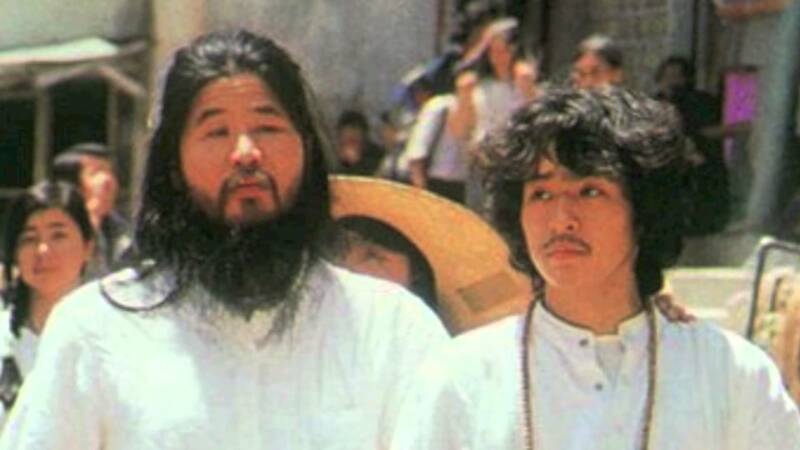 Whatever they do, the both children of master Asahara’s cult will remain under the monitoring of Japanese public security agency because the dark image of the group cannot be erased so easy, even if they embrace the Buddhist and Hindu roots without any radical mood. According to the latest information, Montenegro discovered the Aum Shinrikyo activities within the country, but media and officials dont explain which part of the sect is detected: Aleph or Hikari no Wa, because we are aware that the cult under the name Aum Shinrikyo doesn’t exist anymore and definitely is forbidden all over the world. So, how is possible that sect is found in small Balkans state of Montenegro? The official goverment informed that about 55 Russian citizens and 4 Japanese will be expelled since they were caught in non-allowed activities of cult. 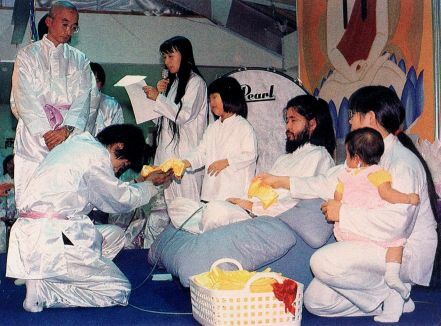 There is no more information of the Agenda of the Montenegrin Aum Shinrikyo’s rise but the tabloid titles that Balkans is under attack of influence of Japanese fanatical cult, responsible for bio-chemical apocalyptic terrorism in 1995. The rise of the sects and cults goes with declining of formal religions. Sadly but religion today became almost like a product in a market, you go to buy what you want for your money. It is not guaranteed that you will be loyal for so long but you have a choices and you know that God wont be angry. The extreme end of it could be uncontrolled religious radicalism as an answer to the fading of religions in society. Whatever it is, it must be processed on time and answered through the adequate social and political measures which wont damage the identities and the boundaries. The cult, no matter which one, should be monitored. Even the benign thing after a while, could turn into malign.Then we will have Armageddon without Armageddon. 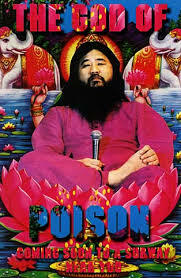 A shoko asahara physical description sounds like the Dajjal in islamic eschatology . He’s probably a sign of the dark ages we live in and since the early 90’s been accelerating a downward spiral rather fast . This age cries out symbolism of dajjal , antichrist and anti messianic messages.